It didn't take long after I discovered coconut oil for me to realise the extent of it's powers. I'm talking, wizard-level wonderfully magic for our skin, hair, body and overall health. Obviously in large amounts nothing is good for you, but adding a little coconut oil into your life everyday can make a world of difference. 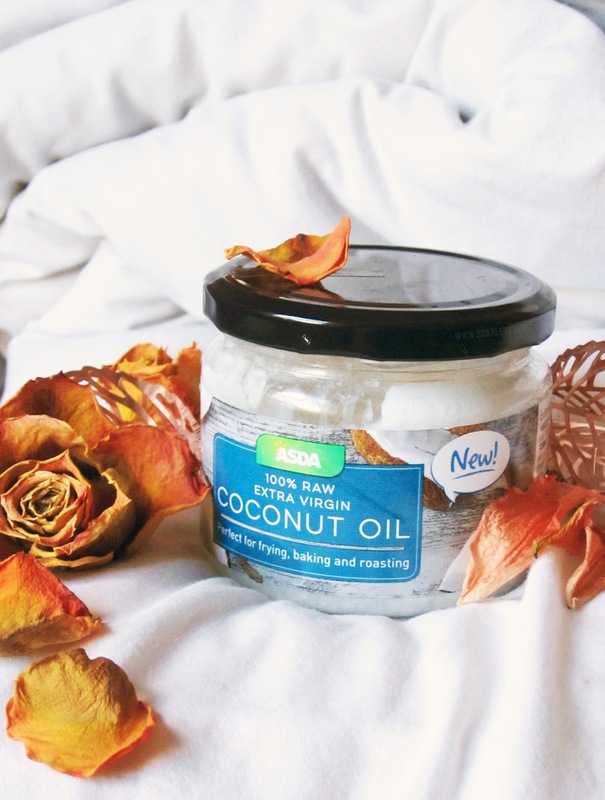 I've tried and tested (almost) all of these ways to use coconut oil, my favourite being for my skin and coffee! If you know any more ways to use it, I'd LOVE to hear about it in the comments or a tweet! The flowers in these photos are from Blossoming Gifts, I've had them for a week or two now and they've just started to crisp. Dried flowers make a beautiful decoration too don't you think? You can win your own bouquet with me here. Not just any kind of conditioner, but coconut oil is a brilliant deep conditioner for maintaining shiny, strong hair that does anything but bend n' snap. After washing your hair, rub coconut oil through the lengths in a moderate amount for lush locks or leave in overnight (shampoo it out in the morning) for deeply nourished hair. It's brilliant enjoyed in moderation- you can cook with it, put it in your coffee, spread it on toast, put it in porridge (one of my life savers for cold mornings) and when you eat it, it reduces hunger so is great way to curb the munchies if you really have to. 10/10 would recommend just eating whatever the hell you feel like though. Despite its high fat content, coconut oil actually speeds up your metabolism when consumed. It's classed as a SUPERFOOD! It travels straight to your liver and is one of the only oils not stored as fat. Amazing, right? 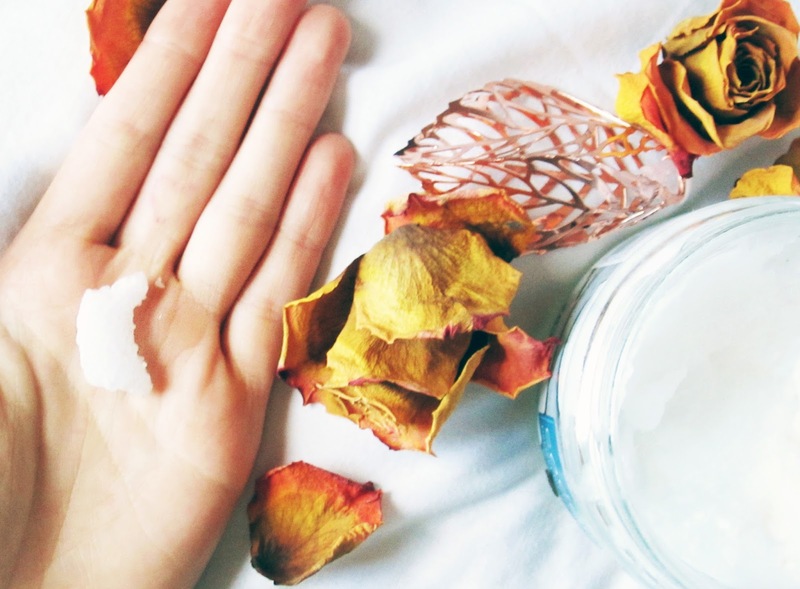 Mix a little oil with sugar and rub it on your lips to get rid of dry spots in winter! It can also be used as a lip balm. Pop a little in a pot and carry it around with you! At around £5 for a large jar, you have lots of different beauty products in one and you only ever need a little so the product lasts for a long time. I haven't tried this one out myself, but with the recent move to turning vegan I might have to test this out. Supposedly if you mix the miracle oil with baking soda, you can use the formula as a deodorant! Let me know if you'd like me to do a post on this when I try it out. Pop a little bit of coconut oil in eyeliner gels, brushes (for pigment pick up) and pomades to bring back moisture to the products. I use a little on my Anastasia Beverly Hills dipbrow when it's dry or hard to use. Here's how I do my brows! Because of it's antimicrobal properties (also antifungal, antibacterial and antiviral properties) it can help fight infections in the body from athletes foot, to thrush and flu. Obviously contact a doctor if your condition is bad- coconut oil is amazing but it's not going to make you 100%. 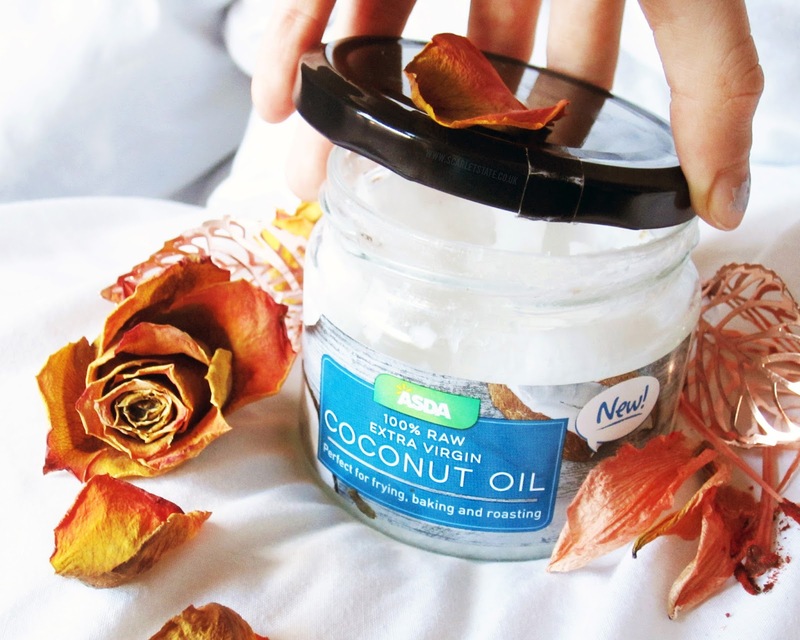 Who needs serums when coconut oil is your skin's best friend? I like to take a little in the palm of my hand in the morning and at night, melt it a little with the natural warmth of my skin and massage it onto my face, and any dry problem areas. You get bonus points for smelling like a tropical goddess all morning. The main ingredient in Lush's Elbow Grease is actually coconut oil, and this little bar cleared up my eczema/psoriasis on my eyelids which was SO sore. As long as I keep it in my routine, my eyes don't dry! 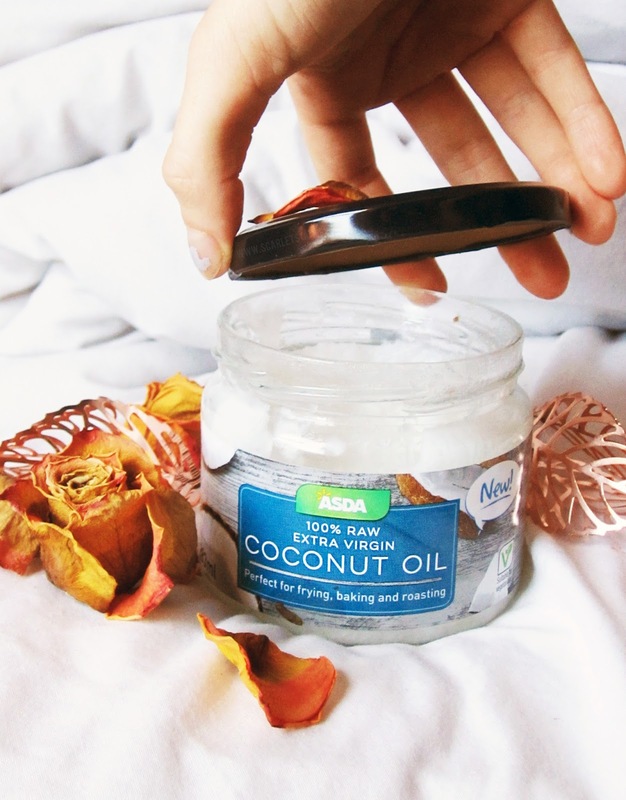 The best coconut oil to reap the benefits of is 'unrefined', but extra virgin is okay too. I always try to purchase organic coconut oil which is super easy to find in supermarkets, as the antioxidants in these types are better and therefore the benefits to using it are better! Let me know if you know anymore ways to use it! Here's a list of the benefits of adding a little coco to your daily life. What do you use coconut oil for? Have you ever tried it?